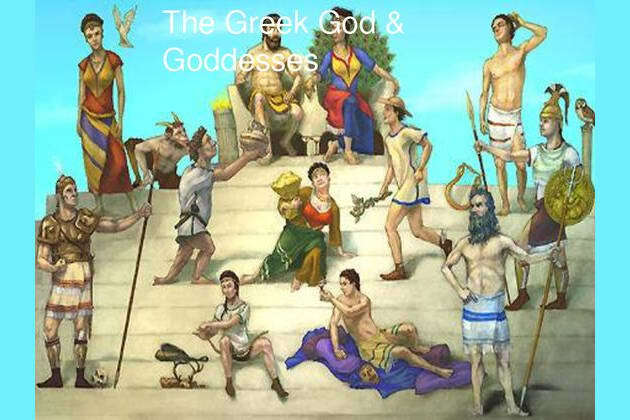 Who Is Your Greek God Or Goddess Parent? What would you do if you saw an old lady about to get hit by a car? Are you faithful to your lover? First letter of your first name? Poseidon is the Greek god of sea, earth quakes, and horses. One of the most famous gods, he's quite temperamental and lustful. Zeus is the God of sky, weather, order, law, fate. He is considered the lead Olympian. Father of the gods and men. He is powerful, merciful, and unfaithful. There is basically nothing good about Zeus. He did try to save Persephone from Hades but was afraid to lose friendship with his brother; He failed. Apollo is the Greek God of Music, Healing, Light, and Truth. He is kind hearted and very protective. He is mainly protective of his mother and twin sister Artemis. He can become violent when he is insulted or when someone else is. Artemis is the Greek Goddess of Chasity, Virginity, The Moon, Natural Environment, and The Hunt. She was the protector of female children and loved animals. The god of The Underworld, Ruler of the dead, and God of Wealth. Hades had a morbid personality. He is very jealous and possessive. The Goddess of arts, intelligent activity, reason, and literature. Athena is courageous and wise. Hera was not a goddess but a patron of child birth and marriage. Hera is vain, jealous, and brave. She did many horrible things. Zeus had affairs with her. Oh and she was the wife of Zeus. Is It Zeus? Poseidon? Take this quiz to find out!